Just like the 787 Dreamliner, the 777X passenger experience will leave you feeling refreshed with better cabin altitude and humidity, temperature, sound quality and lighting. This entry was posted in Boeing and tagged Boeing, Boeing 777X on January 18, 2019 by Bruce Drum. 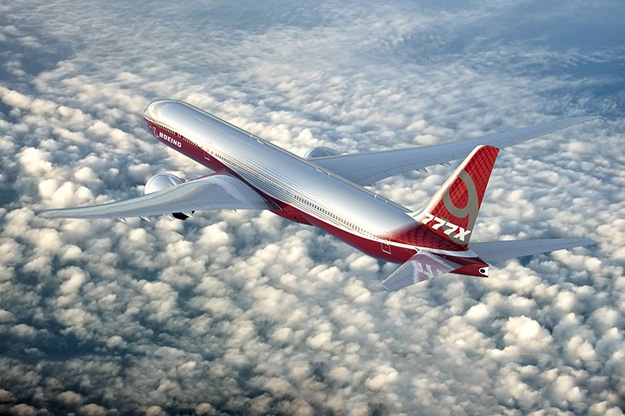 We are powering up the 777X flight test airplane. Join us LIVE on December 6 at 10 a.m. PST as we show you more behind-the-scenes action as the first airplanes come together in the factory. Join us TODAY at 10 a.m. PST (17:00 UTC) LIVE from final assembly in Everett, Wash., where we have now switched on the power for the first 777X. 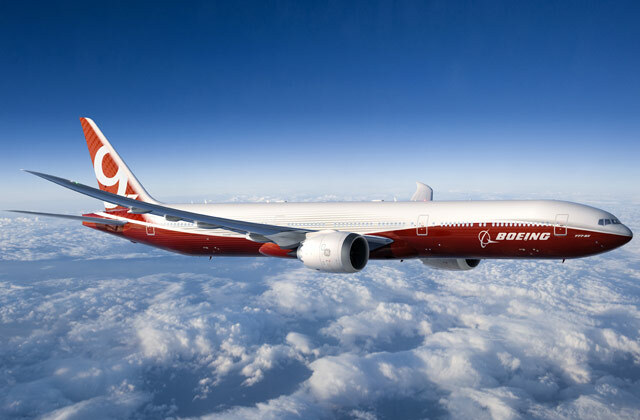 Our host, Jeff Haber, will chat with Samantha Jarema, a manager on the 777X low-rate initial production line. 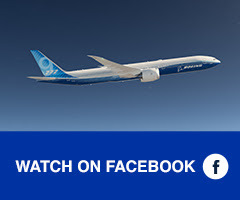 Tune in as we share more behind-the-scenes moments as the 777X gets closer to becoming the most efficient large twin-engine airplane in the world! 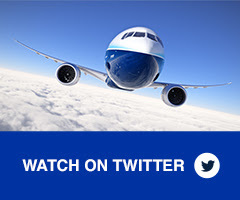 Remember to leave your questions in the comments of the Facebook post or by tweeting at @BoeingAirplanes on Twitter. When it is time, click the images below to join us live on Facebook or Twitter. This entry was posted in Boeing and tagged Boeing, Boeing 777X on December 5, 2018 by Bruce Drum. The first fully-assembled #777X static test airplane rolled out of our facility in Everett overnight. This non-flying airplane now heads off to nearly a year of testing to verify design strength. This entry was posted in Boeing and tagged Boeing 777X on September 10, 2018 by Bruce Drum. 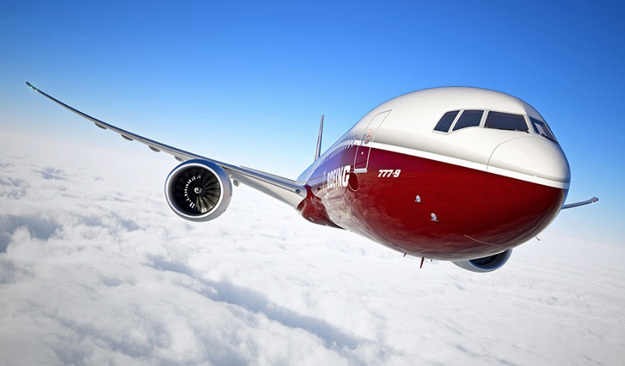 Boeing on October 23, 2017 officially kicked off the production of the first 777X flight test airplane. Boeing engineers talk about its all-new composite wing, and its passenger experience of the future. The production includes the 108-foot wing spar inside the Everett plant. This entry was posted in Boeing, Uncategorized and tagged Boeing, Boeing 777X on October 23, 2017 by Bruce Drum. 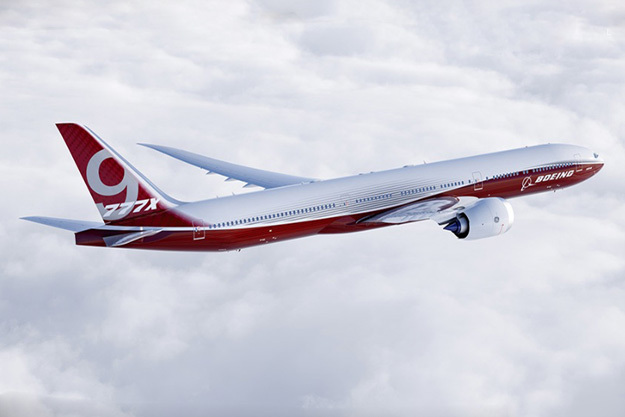 Boeing (Chicago, Seattle and Charleston) announced today the completion of the firm configuration milestone for the 777-9, the first member of the 777X family to be developed. This entry was posted in Boeing and tagged 777, 777X, Boeing, Boeing 777, Boeing 777X on August 27, 2015 by Bruce Drum. Boeing (Chicago, Seattle and Charleston) and key Japanese partners today (July 23) signed a formal agreement for significant work on Boeing’s new 777X airplane. This entry was posted in Boeing and tagged 777, 777-8X, 777-9X, 777X, Boeing, Boeing 777-8X, Boeing 777-9X, Boeing 777X, JADC, JAI, Japan Aircraft Development Corporation, Japan Aircraft Industries, Kawasaki Heavy Industries, Mitsubishi Heavy Industries on July 23, 2015 by Bruce Drum.